Conarium (game, 2017). A Lovecraftian horror adventure video game by Iceberg Interactive. Developed by Zoetrope Interactive, Iceberg Interactive. Official Trailer. 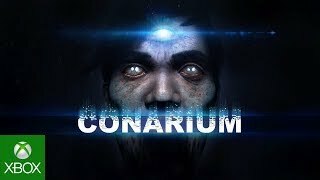 Conarium is a Lovecraftian horror adventure video game by Iceberg Interactive, developed by Zoetrope Interactive and Iceberg Interactive. 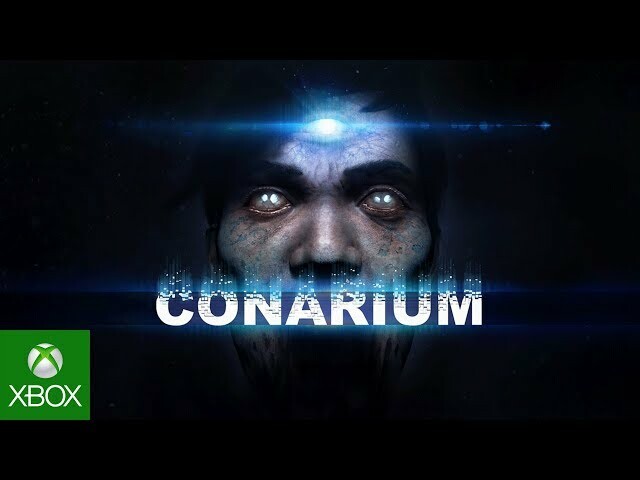 Conarium follows four scientists in their endeavor to challenge what we normally consider to be the absolute limits of nature. The scientist sought to transcend human consciousness with the use of a so-called Conarium device. The player controls Frank Gilman, one of the four scientists of the Antarctic expedition. At the beginning of the game Gilman wakes up alone at Upuaut, a research base located in Antarctica. The room where he wakes up has a strange device on the table emitting odd noises and with pulsating lights. Gilman has no idea what the device is, nor has he any recollection of what happened prior to him passing out. He discovers the research base abandoned, with no trace of the other scientists. Gilman must uncover what happened to the others of his expedition by exploring the Antarctic base and its surroundings. During his search he experiences strange visions and dreams, which feel like memories that he cannot place. Conarium was scheduled to be released by Iceberg Interactive on June 6, 2017, on February 5, 2018 and on February 12, 2019. This video game is available for the following platforms: Microsoft Windows, Linux, macOS, PlayStation 4 and Xbox One.